William Cudworth wrote many books on Victorian Bradford. The research that he undertook was invaluable, and his written words, recorded for posterity the history of a great Victorian City. But what was Bradford like in Cudworth’s time, what were the institutions, how did it develop into the city it became, and who were the people that shaped its development and made it the wool capital of the world. This tour will reveal some of the people who made Bradford a great city, it will show us how through working together and exercising their influence that they were able to build a great city, and how they had to face the challenges of a city that was growing at an exceptional rate. One of Cudworth’s books written in 1881 was ‘Historical notes on the Bradford Corporation’ Many of the people written about in this book were laid to rest at Undercliffe Cemetery, the photographer, the illustrators, Cudworth himself, and many of the Mayors who are named in this book. This book tell a story about the community that built Bradford and will be referred to throughout the tour. 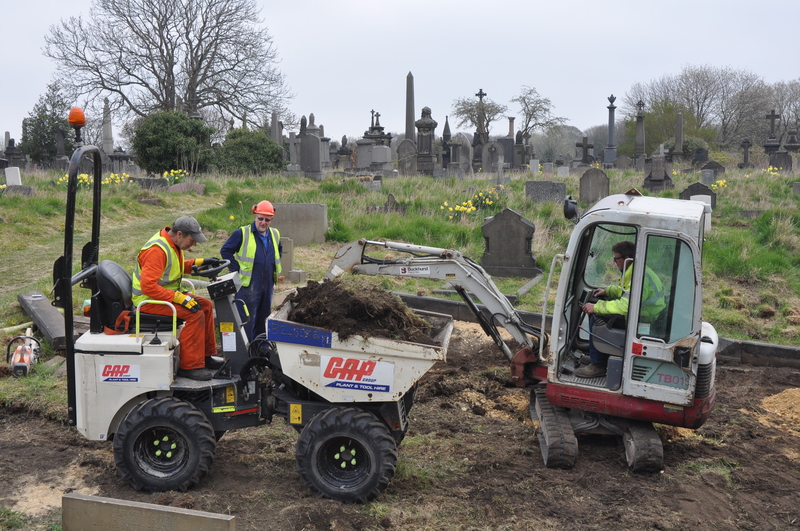 Usual fee of £5 per person, to go towards the maintenance costs of the cemetery. Additional donations are always welcome. To avoid disappointment you can book your tickets through eventbright click here to take you to their site. There will be a small admin fee to pay when booking through this site.